Matt, Ben and Nick bring back fan favorite Kevin Thompson for the FANCIEST episode of The New Way Podcast EVER! These four shlubs have each chosen five real life, living celebrities to join them at their dream gathering. Where will they meet? What will they do? Why were they chosen? You’ll find out all that and more. Plus, The New Way has had another slight audio face lift. That means better equipment and improved sound for YOU, our loyal listeners! 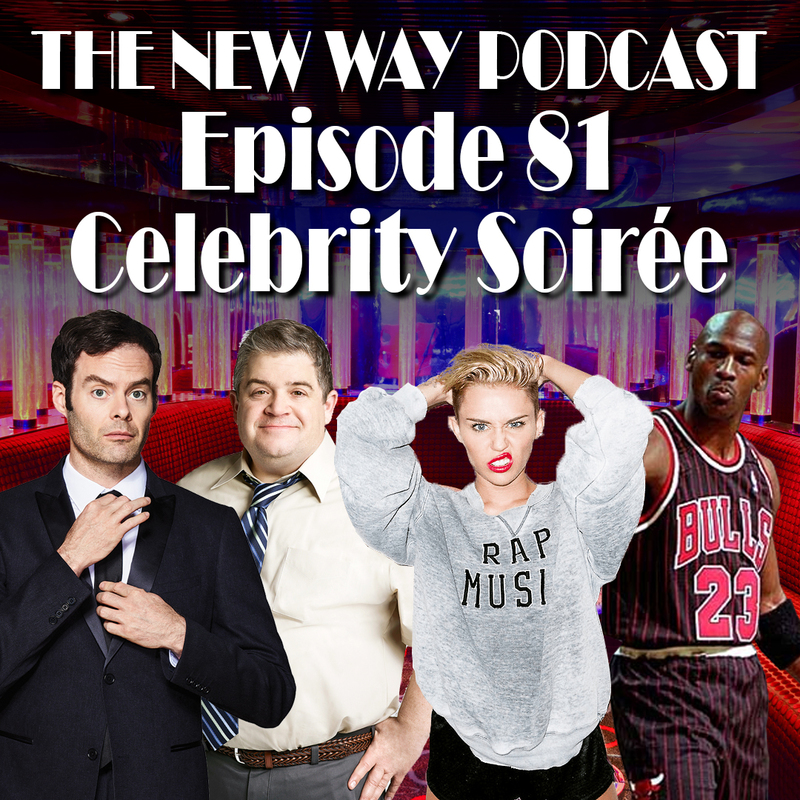 All that and more on The New Way Podcast: Episode 81 – Celebrity Soirée!